Our town sits in the sunny southwest corner of New Mexico. We’re equal parts Old West heritage and a distinctive arts and entertainment community, packed with a vibrant “small-town” style of living. Nestled against the 3.3 million acre Gila National Forest, Silver City is a quirky cultural town of just under 10,000 people. Boasting historical ties with Billy the Kid, the Gila Cliff Dwellings, and Geronimo, as well as having the third largest open pit copper mine in the world, Silver City shines in its artistic, culinary, and historical offerings. The downtown Historic District in particular is home to more than a dozen restaurants, murals, and some thirty-plus galleries and artist studios. At 6,000 feet, the summer monsoons enliven the lush landscape and provide an escape from the typical Southwestern heat. The Silver City/Grant County climate is noted for its clear mountain air, low humidity and four gentle seasons. The bulk of Grant County and most of the towns in the county, including Silver City, fall into a high, arid region that resembles both parts of Arizona’s Chihuahuan Desert and New Mexico’s famously beautiful Ponderosa-clad mountains. Founded in 1878, the Town of Silver City (county seat) sits atop a site that has been home to Native American, Hispanic and Anglo settlers for hundreds of years, and these vibrant cultures fill an important part of the Town's exciting present day. Elevations range from 4,000 feet above sea level in the high desert at the southern end of Grant County to mountains reaching over 10,000 feet in the northern portion of the county. This also makes for quite a change in temperatures going from the lower desert to the mountain peaks. The annual average temperature is fifty-four degrees Fahrenheit, with mid-summer days in the eighties. Pleasant, above-freezing temperatures most of the winter provide near-perfect conditions for day and evening activities. On average, the sun shines more than three hundred days per year, and there are at least one hundred seventy-four growing days. Local farmers and plant enthusiasts enjoy growing vegetables and fruit. There's a wonderful boutique winery and vineyard in the Mimbres Valley of Grant County. If you enjoy getting your fingers dirty, you will enjoy our area. Annual rainfall totals in the County range from 16? (or less) in the most arid portions of the county to 20? (and sometimes a little more) in the high country. Grant County is home to Western New Mexico University. This four-year university has called Silver City "home" since 1893. WNMU offers more than 70 fields of study, online Masters' and Bachelors' programs, satellite campuses, and the classic on-campus university experience. WNMU is truly an asset to our community. You don't have to be a student to appreciate WNMU. The Western New Mexico University Museum hosts the world's largest permanent collection of Mimbres pottery. In addition, WNMU Cultural Affairs organizes a variety of entertaining events throughout the year for locals, visitors, and students alike. The Western Institute for Lifelong Learning also calls WNMU home, providing educational opportunities for ongoing learning outside of the traditional classroom. 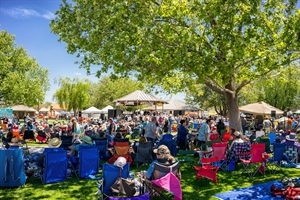 Silver City and Grant County have been recognized by arts, retirement, and quality-of-life publications for our unique combination of affordable livability, relaxed atmosphere, wonderful year-round weather and incredible beauty. Includes Cities/Towns: Arenas Valley, Bayard, Buckhorn, Cliff, Faywood, Fort Bayard, Gila, Glenwood, Hanover, Hurley, Lordsburg, Mimbres, Playas, Santa Clara, Silver City. Play in the 3.3 million acre Gila National Forest. Enjoy golf at the University Course at Scott Park, an 18-hole championship course. Ride in the Tour of the Gila bike race. Fish in various lakes, rivers and streams. Go rock climbing with peaks up to 10,900 feet. Hike the Continental Divide Trail or any of the other miles and miles of trails. Visit one of the many museums in Grant County. Take a leap back in time at any of the area's old Ghost Towns and historic Fort Bayard. This is an Art Community. Enjoy the area's art scene by visiting galleries or attending concerts. Hunt for gems, pretty rocks, fossils, gold and silver. Soak in one of the many "hot Springs" in the area... natural and man-made. Shop, dine out, go bowling, attend a movie, or just sit and watch the night's spectacular view each evening. At 6,000 feet, the skies are beautiful. Our area celebrates the arts in many ways. No matter what your interests, you will find some event that meets your interests. Corre Caminos is a county-owned public bus system that runs through-out Silver City, Grant County and even counties to our south. Presently, there is commercial air service from Grant County Airport to the International Airports in Phoenix, Arizona and Albuquerque, New Mexico. The current air service provides a total of six flights each day between the two routes. Train service is available at Lordsburg and Deming, New Mexico... under an hour south of Silver City. The Gila Regional Medical Center is known for its broad spectrum of care, its state-of-the-art medical equipment, its hghly qualified staff and its dedication to delivering patient-centered care in a healing environment. Gila Regional Medical Center is a JACHO-accredited, county-owned, nonprofit, 68-bed hospital serving as a regional medical center for four counties in southwest New Mexico. On an annual basis, Gila Regional Medical Center handles about 70,000 outpatient visits, more than 3700 inpatients and delivers more than 500 babies. In 2018, Gila Regional Medical Center was named as one of the Top 100 Rural Hospitals in America with a 4-Star Rating. The Emergency Room is operated 24 hours and is fully staffed by specially trained emergency medicine physicians and personnel. The Gila Regional Rehabilitation Center is located in a separate 6,000 square foot facility which includes three heated pools. The Rehab Center offers physical therapy, speech therapy and wound care. The Gila Regional Cancer Center receives more than 500 patient visits per month. Chemotherapy treatment and radiation therapy is available. Jan 27.5 F° 41.6 F° 55.8 F° 1.0 "
Feb 30.5 F° 45.2 F° 59.9 F° 1.0 "
Mar 33.9 F° 49.7 F° 65.4 F° 0.6 "
Apr 39.1 F° 56.3 F° 73.5 F° 0.4 "
May 47.8 F° 65.1 F° 82.5 F° 0.6 "
Jun 56.3 F° 73.4 F° 90.5 F° 0.8 "
Jul 62.2 F° 76.0 F° 89.9 F° 3.3 "
Aug 61.1 F° 74.3 F° 87.5 F° 3.0 "
Sep 55.3 F° 69.5 F° 83.7 F° 1.8 "
Oct 44.5 F° 59.5 F° 74.4 F° 1.4 "
Nov 33.5 F° 48.7 F° 63.9 F° 0.9 "
Dec 27.5 F° 41.5 F° 55.5 F° 1.3 "
Though we have a wonderful temperature climate year-round, there are some months where we do not see much rainfall. During the dry months, forest and grass fires are a possibility. However, the local fire services offer great tips on how to make your property safe from fire danger. The Grant County airport is actually a fire fighting depot for smoke jumpers and forest fire fighting organizations. Condos Over 50 Communities Southwest New Mexico offers diversified housing for every lifesatyle. Where you want to live in the city limits, develop a ranch along a river valley, build a hide-away in the mountain forest areas, own/rent a condo or apartment, live in a single-family home or a multi-family facility or enjoy cabin-life... there are many properties to choose from. You can find $80,000, $168,000 or $350,000 properties. Options ranging in style and date of homes to a wide variety of pricing show that we have diversity in housing. Part-time, full-time and volunteer opportunities are available for seniors through-out our area. Jobs are available through-out the communities. The area has more than 30 non-profit organizations ranging from arts and culture to food kitchens. There are always volunteer positions available. Many of the community festivals and events rely heavily on volunteers to make them successful.